In a style that reminded me much of Kitano’s “Kids Return,” in its disillusioned portrayal of the lives of Yakuza, Hiroshi Shoji presents a truly punk film that continues the currently lost legacy of the Japanese master. Ken and Kazu are two lowlifes who use the failing car repair shop of the latter to deal meth, with the assistance of a simpleton named Teru, who also helps at the shop. Both of them have a good reason behind their actions, since Ken’s girlfriend is pregnant and he needs money to support her and the baby, and Kazu has to put his senile mother in an elderly house. In this line of work, they actually work for Todo, a former classmate who is the yakuza in charge of the area, and whose enforcer is a brute named Tagami, who matches the archetype of the Yakuza henchman in all aspects. 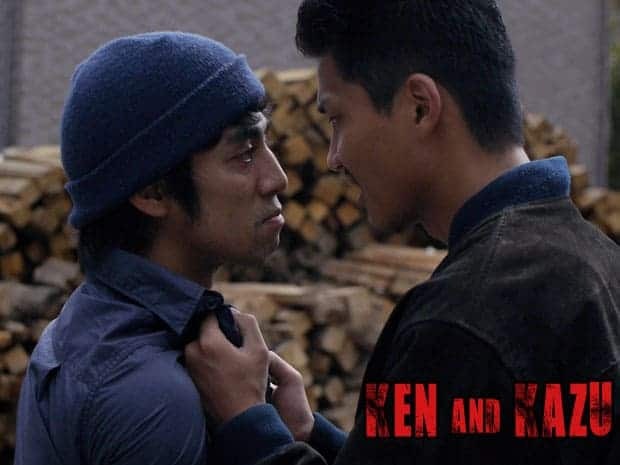 Ken and Kazu help Todo by beating anyone who also tries to deal drugs in the area, but when Kazu suggests the two of them start dealing behind Todo’s back, all hell breaks loose. Hiroshi directs a film that depicts the lives of the lower Yakuza in completely realistic fashion, without any notions of grandeur. The protagonists are misfits, living in a place where hope is nowhere to be found, and turn to crime as the sole solution they can find to their financial problems. However, their choice does not mean their lives get actually better, since their basis is so low, that even the best way out is a dead end for them. This applies particularly to Kazu, who, as the story progresses, is proven to have been a victim of abuse by his now senile mother, who keeps pestering him about his father who is long since gone. In that fashion, his predilection for violence is somewhat justified, but Shoji does not let it in any way be excused, as he presents a character who is willing to step even on his best friend in order to achieve his goals. The film is filled with violence, in brawling fashion, in another trait the fits the rundown neighborhood that functions as the main setting, with the only breaks coming in the scenes where Ken interacts with his girlfriend, although violence eventually finds its way even there. The permeating violence, the lowlife protagonists and the male friendship are the elements that most reminded me of the early Kitano, with Shoji actually embracing the fact, in a tendency that finds its apogee in a hilarious scene where Ken mocks the way Kitano spoke in his movies. Shoji implemented a very fast and occasionally abrupt style of editing that benefits the actions scenes the most, additionally giving the whole film a quite rapid pace that suits the punkish aesthetics nicely. I have to admit, though, I would prefer the music to be more in that style than the generic tracks that are heard throughout. Shuhei Yamamoto’s cinematography paints the rundown setting with very fitting colors in mostly greyish hues, with the same applying even to the sky, which seems to be cloudy all the time. The only source of color seems to derive from Todo’s shirts, which are occasionally motley, in distinct Yakuza fashion. Shinsuke Kato plays Ken, the “good” of the duo in convincing fashion, highlighting his character’s reluctance to follow Kazu’s increasingly dangerous path. 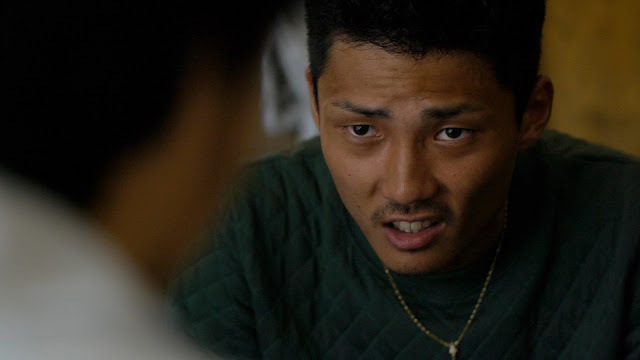 Katsuya Maiguma is great as Kazu, a man much further down the road of violence and hopelessness than his partner, with his physique helping him the most in portraying the “bad”, tough guy, although the highlights of his performance emerge when he portrays the vulnerability emerging from his relationship with his mother. “Ken and Kazu” is a great film, in punk style, which actually shows what Kitano should be doing at the moment. Considering this is Hiroshi Shoji’s feature debut, I cannot wait to see his next works. 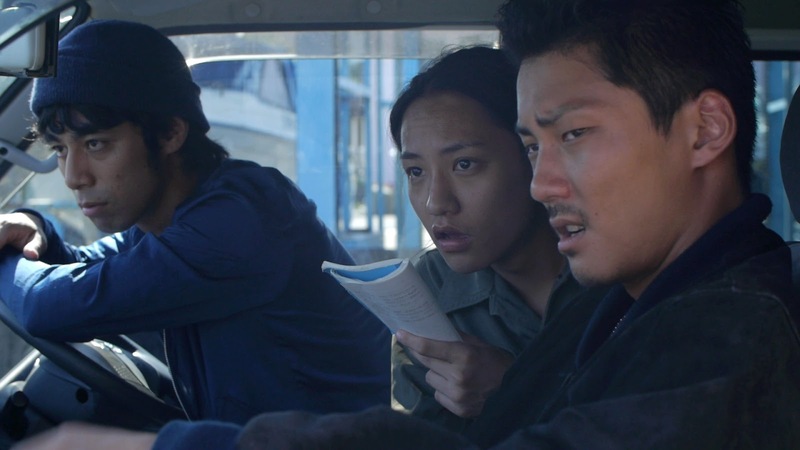 Third Window Films’ “The Legend of the Stardust Brothers” – World Premiere at Sitges Film Festival with director Macoto Tezuka in attendance!